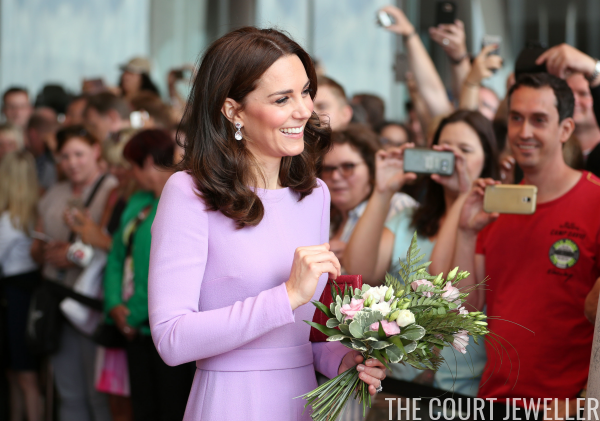 For the last day of their European tour, the Duke and Duchess of Cambridge headed to Hamburg with their children for a series of engagements. 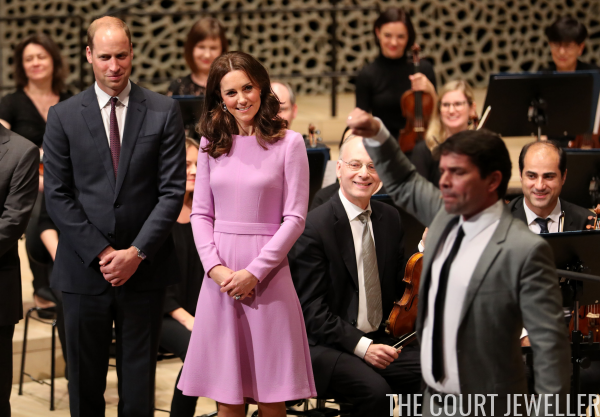 Kate wore a lilac-colored dress by Emilia Wickstead for the day's slate of activities, which included visits to Airbus and to a local philharmonic orchestra. 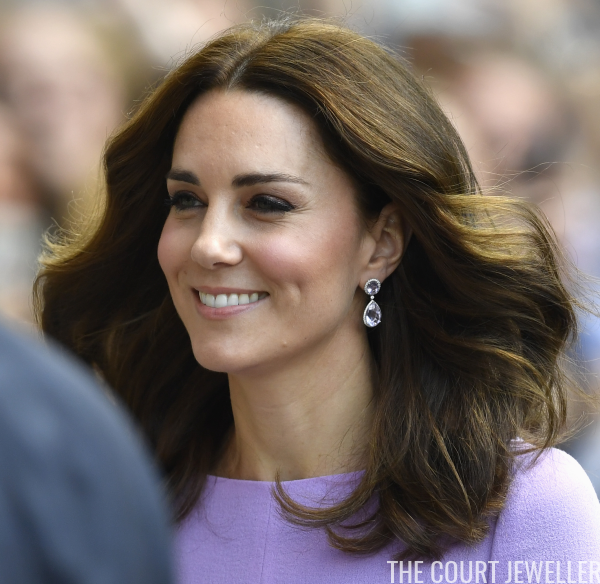 Kate reached into her jewelry box for today's jewelry, selecting the lavender amethyst drop earrings by Kiki McDonough. Here's a closer look. 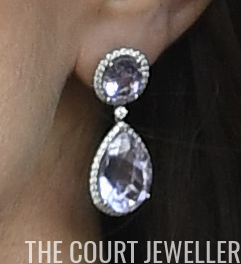 Kate debuted this pair during her visit to Bhutan -- you can read more about that initial public appearance over here. And here's a look at Kate's entire ensemble for the day. 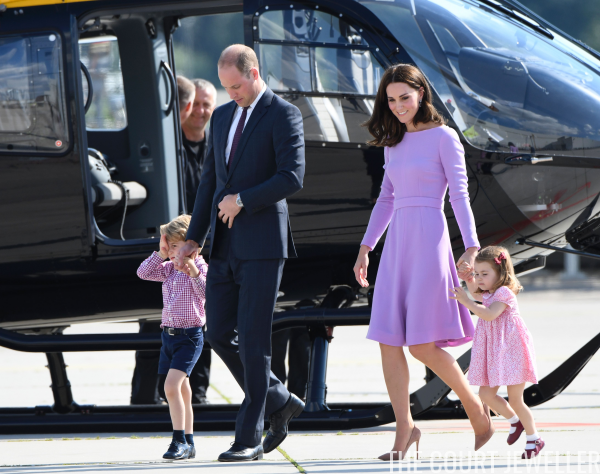 William and Kate headed back to London with George and Charlotte directly after their visit to Airbus. That's a wrap on this royal tour! But we'll see William and Kate again soon; it was announced today that they'll be accompanying Prince Charles to Belgium on July 31.